I am now your fearless leader! I hope to make this site wonderful and I'm going to need to change a few things. As of right now the changes are going to be pretty basic, to make this place a lot simpler to Role Play. 1. Erik Cecere is now second in command. When I'm not around, he's the go to person. 2. No longer need to post travel threads. You can only be in 3 threads at one time. However, this rule does not apply to mission threads. Mission threads you have to post a travel thread along with it. Thanks! 3. Rogue mages are now put on hold. We have too many compared to the number of actual guild members. Join a guild! 4. Site Canon characters are coming! I'm pleased to announce that site canon characters are coming. There will be benefits to these positions. 5. Mission Moderator. I'm in need of someone that has free time and can write missions. You don't have to constantly be writing missions, but could use some extra hands in creating them. Once I get a grasp on how you handle this, you'll be moved to a moderator. PM me if you are interested. ****6. Stat system is gone We no longer have the physical stat system. This means we are going to trust you all in your ability to write and Role Play properly. If we see you are misusing your power, you will be warned and most likely banned. 7. The current OOC event is ending soon. But don't fret, another site wide mission event will be taking place. ****8.The Guild Masters are now playable characters. 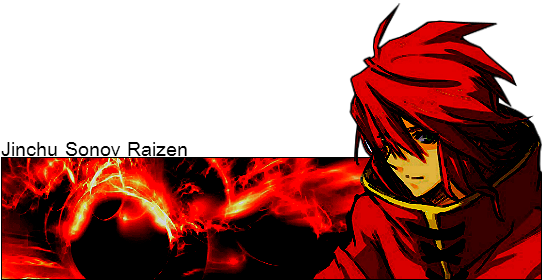 For right now, the staff will be RPing as three of the Guild Masters. That means we have some openings for the others. They won't be open right now, but a guild master is a CANON spot. Meaning this won't just go to any player. The person has to be a decent RPer, and shows dedication to this site. They will become one of your characters you will need to RP with at least weekly. About the getting rid of stats thing, I was wondering if those who spent experience on stats would get that experience back? I don't know how much the others would care but I spent a considerable amount compared to the rest concerning stats. How would playable canons work btw? Since Delirium is set in the past the only canon I would think is possible would be the Dragons or Zeraf, maybe Mav but unlikely. But I also don't know if you plan to give an IC reasom for the canons to show up, if you had a plot thing with it I'm sorry for prying . And also I was wondering why we won't continue the event. I was getting pretty pumped about it since we were about ready to go so it would seem like we were robbed a bit. You're the boss though, obvi. I'm not complaining, just asking. Lastly, I can be someone to help with the missions and whatnot. I know you said pm but I just thought of it and figured to voice it out in this little post. I can still pm in greater detail if you would prefer but I wanted you to at least know I'm interested. Jinchu wrote: About the getting rid of stats thing, I was wondering if those who spent experience on stats would get that experience back? I don't know how much the others would care but I spent a considerable amount compared to the rest concerning stats. don't worry Jin I won't let you lose any valuable experience. Both you and Ales will get that exp back soon. The Event isn't being canceled from what I've been told. It's just ending relatively soon. The event is far to important to the progression of the site for me to simply allow it to end. Nope, I meaning characters on this site will become canon. Such as the King, Dragon Slayers, and others that I'm still working on. More information will be released at a later date. None of the characters from the show/manga will make an appearance on this site. I never said the even wouldn't continue. I'm saying it needs to end soon. Events ands site wide missions aren't suppose to last forever. You won't be getting robbed, and now that I'm in charged we have to press forward. Certain things from previous aren't needed. It's just the cost of transition. Thank you. As of right now we'll see how you RP and what not. That will be your first test.